What a bag!!! 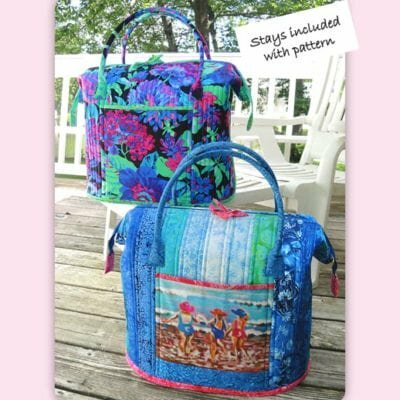 The larger sized Poppins Bag was sew popular and folks were demanding a smaller version. Auntie's Two answered and came out with two 'Little' versions in one pattern! Structural stays keep it in shape and are included with the pattern (plus you can buy extras because we know you will want to make more)!